A 67-year-old man was killed in an accident with a private bus on Wednesday morning. The accident occurred on 5 December 2018, 9.24am at the Junction of Lower Delta Road and Jalan Bukit Merah. 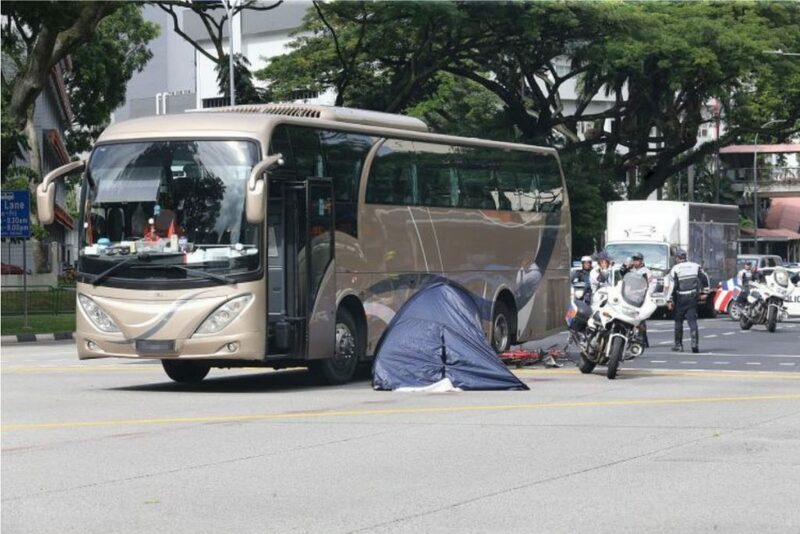 The New Paper quoted a source from Lianhe Wanbao which stated that the cyclist was going to make a right turn towards Bukit Purmei when he was hit by the bus. The victim was declared dead at the scene by the SCDF (Singapore Civil Defence Force) paramedics, the Police said. Blood was seen strewn on the ground, which meant that the victim could have been dragged for a distance. 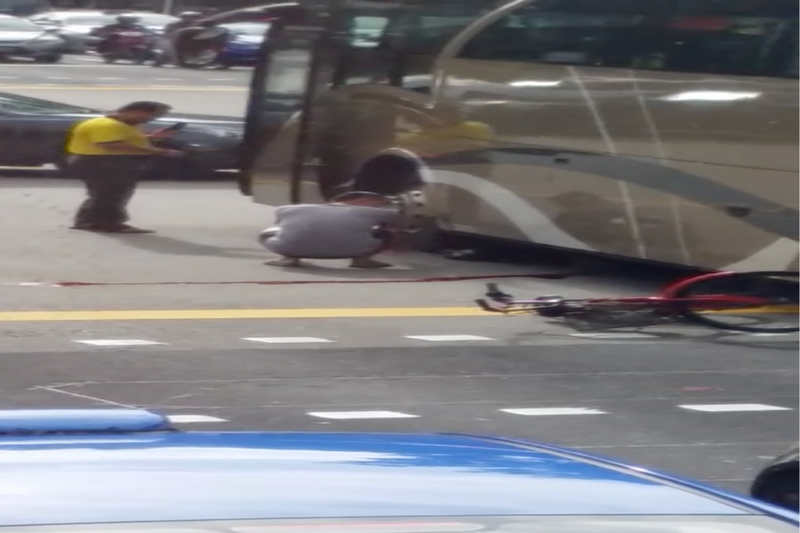 The victim’s bicycle can be seen by the rear tyre of the bus. 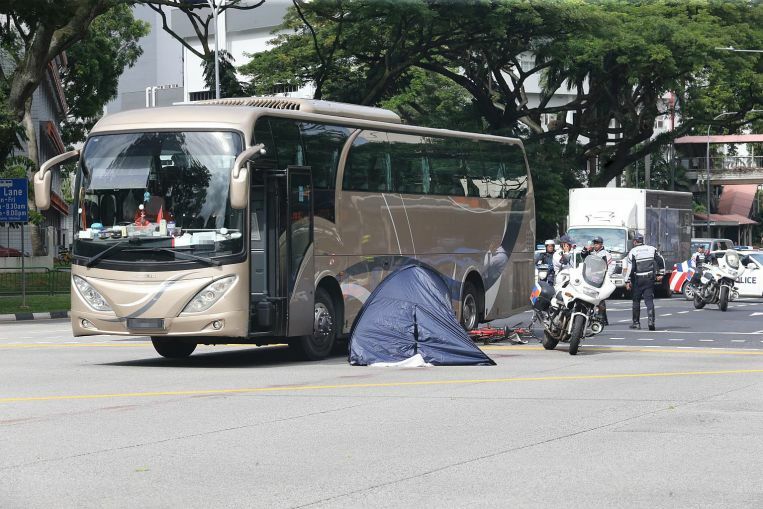 The bus driver, 49, was arrested for causing death by negligent act. It is still unclear as to how the accident occurred. Investigations by the Police are still ongoing. Accidents do happen, and we need to be vigilant at all times especially during heavy traffic. We urge everyone to be safe when riding or driving on the roads. Ride safe everyone and look out for each other.